In this June 1, 2017, file photo, author Stephen King speaks at Book Expo America in New York. 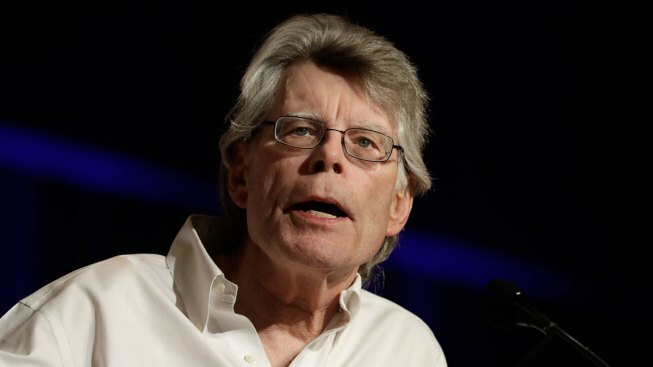 Stephen King says he wants to help a Maine bookstore owner who lost thousands of dollars' worth of rare books, including original King manuscripts, after flood caused by a broken pipe. King tells the Bangor Daily News he was "horrified'' to hear about Gerald Winters' bookstore in Bangor. Winters says about 2,000 books were ruined, including rare first-editions. As many as seven of King's original typed manuscripts, including, those for "Dolan's Cadillac,'' and "The Eyes of the Dragon,'' also were lost.